Rev. Richard P. Vitz was born in Sherwood, Ohio on June 27, 1917; the son of Rev. and Mrs. Nathaniel E. Vitz. When Richard was 4-years of age the family moved to New Bremen, Ohio where his father served the Zion Reformed Church for 22-years. Richard's paternal grandfather, Rev. Peter Vitz, emigrated to America from Germany, studied at the former Heidelberg Seminary and served several congregations in eastern Indiana. With deep Christian roots, Rev. Richard P. Vitz graduated from Heidelberg College in 1939. Studied at Eden Theological Seminary, ordained on June 28, 1942. 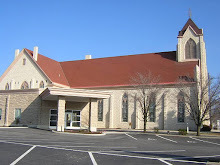 He immediately began his ministry career on July 1st at the St. John's Evangelical and Reformed Church, Fostoria, Ohio. He also served congregations in Findlay and Germantown, Ohio before coming to our church in Lima on January 1, 1953. Rev. Vitz served on various Boards and Committees, to name a few: Trustee at Heidelberg College for 22-years. Four-time delegate to the General Synod. Vice President of Northwest Ohio Synod. Board of Children's Home in Ft. Wayne, Indiana. Board of Child and Family Services in Lima. Member of the Citizens Advisory Board of Lima State Hospital. President of the Allen County Ministerial Association. 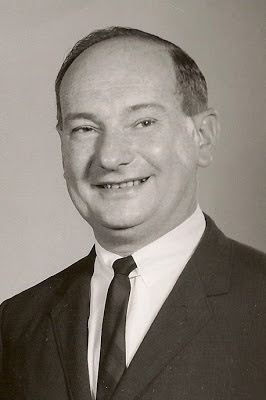 Reverend Richard P. Vitz was called to his Heavenly Home at the age of 87, on September 17, 2004, in Waverly, OH. "...well done, good and faithful servant...enter into the joy of your Lord..."